Summary: Like Smilla’s Sense of Snow combined with the best of Dennis Lehane, North of Boston is a dark and deeply atmospheric thriller with a sharp-witted, tough-talking heroine readers will be clamoring to meet again. One book that I really enjoyed last year was NORTH OF BOSTON by Elisabeth Elo. You can read my review here. This novel was a terrific literary thriller with a very interesting main character. Truly, this book had it all -- suspense, mystery, action-packed scenes, and more. I was very impressed with Ms. Elo's writing as were Publishers Weekly and Booklist who both gave the book starred reviews. To celebrate the paperback release of NORTH OF BOSTON on December 30th, I have a wonderful giveaway. 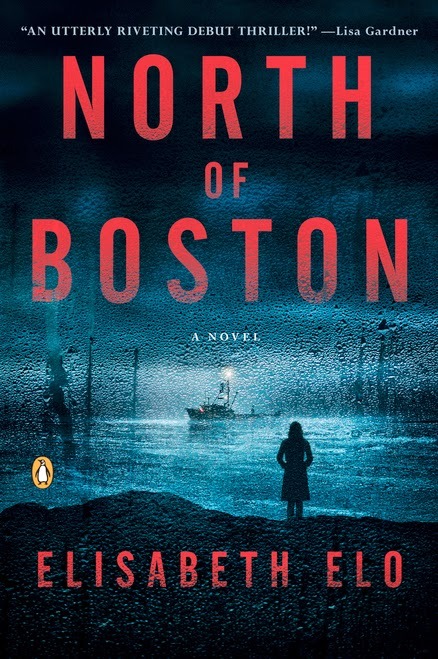 Thanks to the fine folks at Penguin, I have a copy of NORTH OF BOSTON to share with one lucky reader. To enter, just fill out the form below before December 18th at 11:59 p.m. EST. I will randomly select and notify the winner the following day. This contest is open to those of you with U.S. addresses only. Good luck!